MathML Kit provides the native placement of MathML files without any extra conversions. It supports the math equations for Adobe InDesign Server, Adobe InDesign, and Adobe InCopy in the MathML format. The major browsers support the MathML format and overall, this format is quite popular. But for printing, it should be converted into the vector (EPS or PDF) or raster formats. As a result, the converted images are no longer maintainable and in many cases have a poor quality. 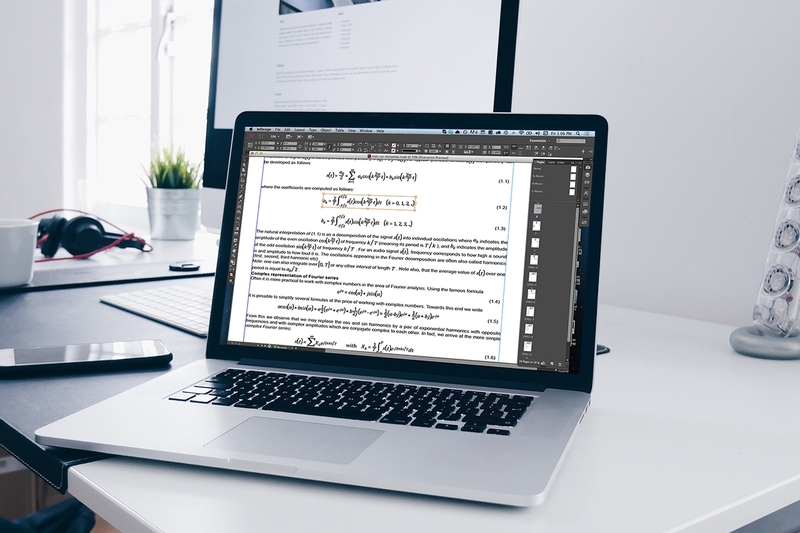 Our solution does not ensure any MathML editing capabilities; it just provides you with an ability to place MathML formulas into the InDesign documents manually or in an automated way. MathML Kit has been designed primarily for one function: the high-quality printing of the mathematical formulas on paper. Adobe InDesign support, CS6 - CC2017. Adobe InDesign Server support, CS6 - CC2017. Adobe InCopy support, CS5.5 - CC2017. MathML 2.0 presentation extended support. MathML 2.0 content basic support.